Trinity specialise in 3 recruitment methodologies, ensuring we can offer clients the most appropriately tailored solution to effectively respond to differing recruitment needs. Clients using our contingent methodology are guaranteed a low-risk, fast-paced placement process. Clients will partner with vertically-aligned recruitment experts to deliver against their resource needs, working with a single point of contact to ensure consistency and simplicity of process. Combining broad and varied candidate sourcing techniques, we cover database search, networking existing contacts, headhunting approaches and extensive online and social media advertising, so you can be confident we will generate quality CV’s quickly from both the active and passive candidate pools. With no fees payable until the candidate physically starts in your business, and with an agreed rebate period in place, this is a popular, low-risk, flexible and highly effective method of recruitment. Clients choosing our Executive Search methodology will typically be seeking to appoint key leadership roles on a confidential basis, or have resource requirements in particularly niche skill areas where traditional recruitment techniques would not be as effective. A full search is the most comprehensive recruitment methodology available, minimising financial risk and protecting brand reputation throughout the executive hiring process. You will partner with our specialist consultants and expert in-house research capability who are committed to ensuring successful delivery against agreed timeframes and budgets. The first step is an in-depth client consultation to develop a detailed project brief based on both the required candidate skills and behavioural competencies. Core Search activities include comprehensive market mapping to establish target audience, preparation of candidate long-list and approaches, followed by rigorous pre-screening which includes face-to-face competency-based interviews, psychometric profiling and aptitude testing. As a result of this process the client is presented with a suitable shortlist of thoroughly vetted candidates from which to arrange final interviews. We continue to support the client throughout offer management to candidate acceptance, with a full project review upon completion of the search. Clients with a strong brand name who are looking to attract candidates from a wide talent pool, range of industry sectors and geographical locations will benefit from choosing our Advertised Selection methodology. Our expert consultants will design a tailored advertising solution to meet both your branding and recruitment needs. We will select the most appropriate media in which to showcase your advert, balancing impact, timing and cost. 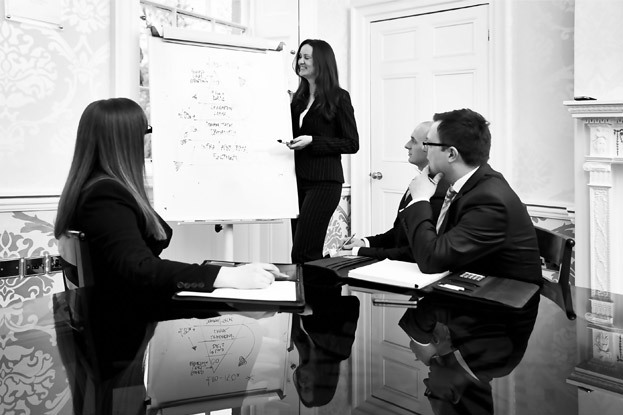 Supported by our in-house research function we manage the end-to-end process from initial client consultation, through to response management, candidate screening and presentation of the completed shortlist. We will continue to support the client through interviews, offer management and candidate acceptance. Clients benefit from our strong relationships with award-winning creative agencies and leading national and trade publications, allowing us to negotiate the best possible advertisement rates. This methodology is geared towards generating the maximum candidate response providing significant return on your investment.